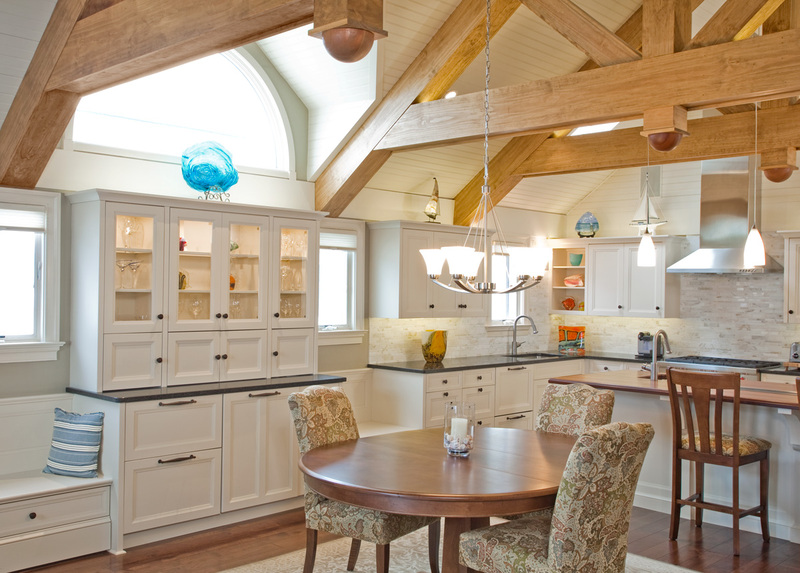 Ocean View Kitchen is a wonderful custom renovation of this New Jersey beach front home was the result of a collaborative team effort. 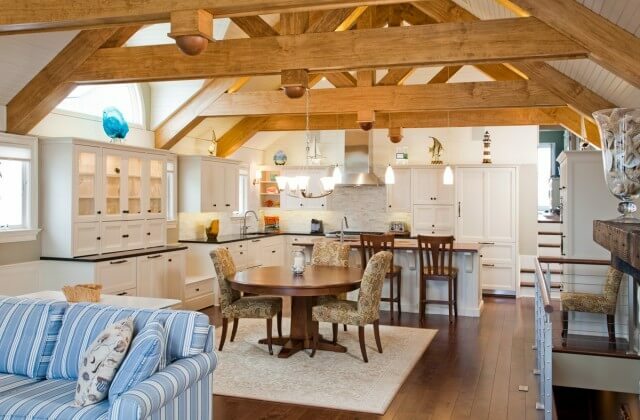 Designer, Cynthia Curley of C2arc, contractor, Andrew Robbins Fine Custom Homes, Inc. and custom cabinet maker Superior Woodcraft combined their talents to provide the client with seamless execution and a fantastic New Jersey beach retreat. 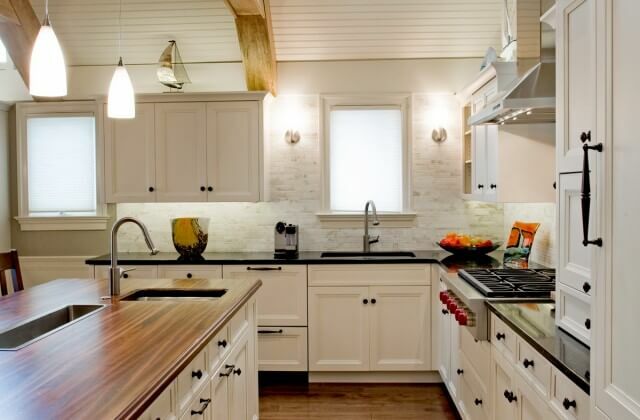 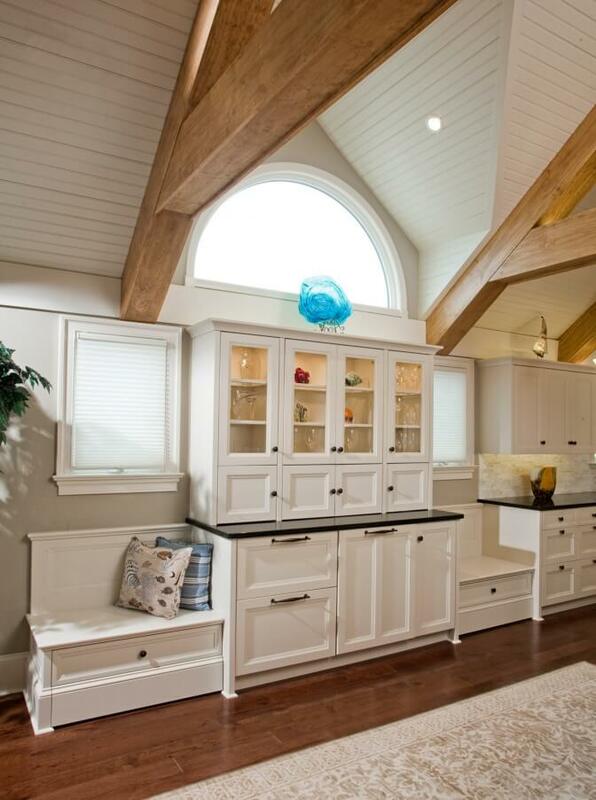 Superior Woodcraft’s Ocean View Kitchen is the perfect stage for the family to enjoy the summers at the beach. 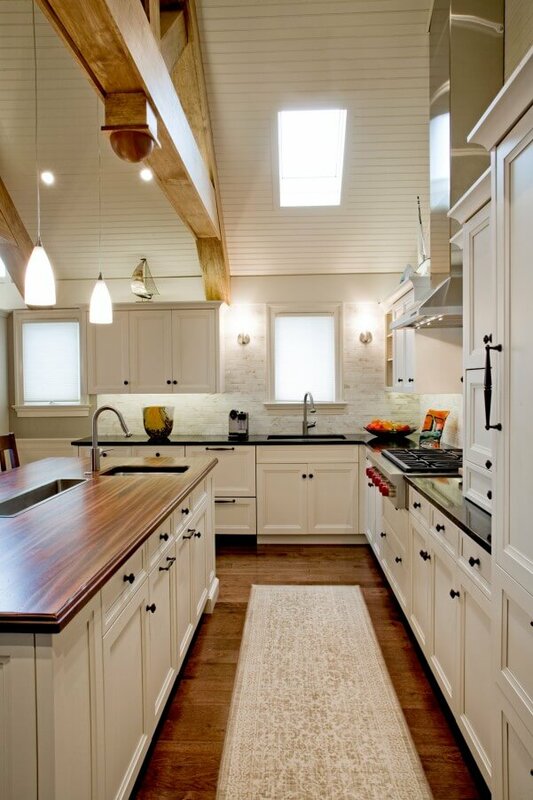 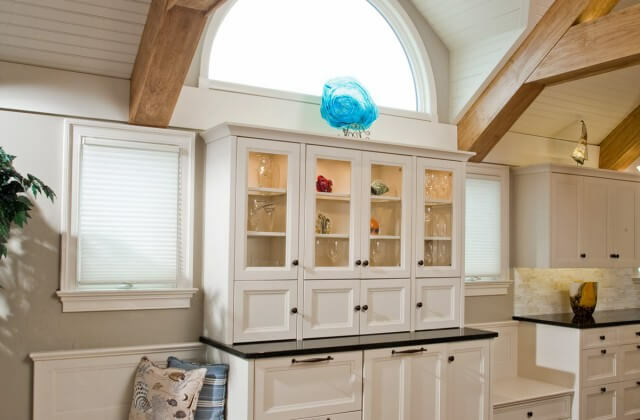 The white painted custom cabinetry with a simple shaker design is the perfect backdrop for the family’s seafood dinner. 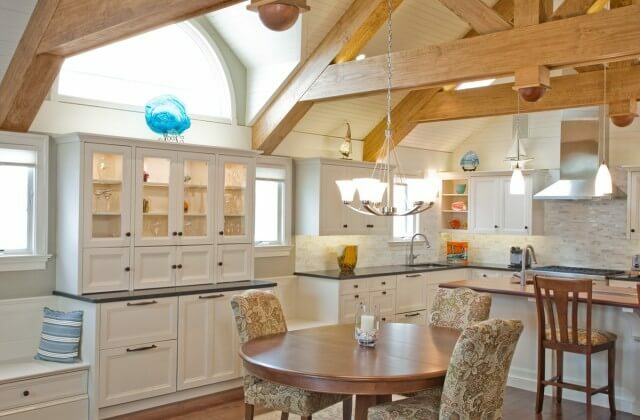 This custom-made kitchen features understated conveniences – bench seating with storage and a china cabinet that also serves as a dry bar/beverage center complete with a beverage cooler and ice maker are just a few examples.